Jennifer Lawrence gave the Golden Globes a casual miss to hang out with her friend and fellow actress Emma Stone instead. The Hunger Games star shared a video on her Facebook page, filmed by Miss Stone, showing her sat around with make-up on one eye and not the other. In the video, Lawrence said she’s been planning to head out to some after-parties but sent her hair and make-up team home as they were making her up because Stone had decided she would rather just spend time at Jen’s house. Well you told me that you wanted me to be your date to the after parties so I got us tickets to some after parties, I booked a car and I was halfway through glam when you told me that you didn’t want to go and you just wanted to come over to my house. So I sent my hair and make-up team home and now this is what I look like. Stone was on the red carpet at the Golden Globes along with tennis champion Billie Jean King, who she plays in Battle Of The Sexes. 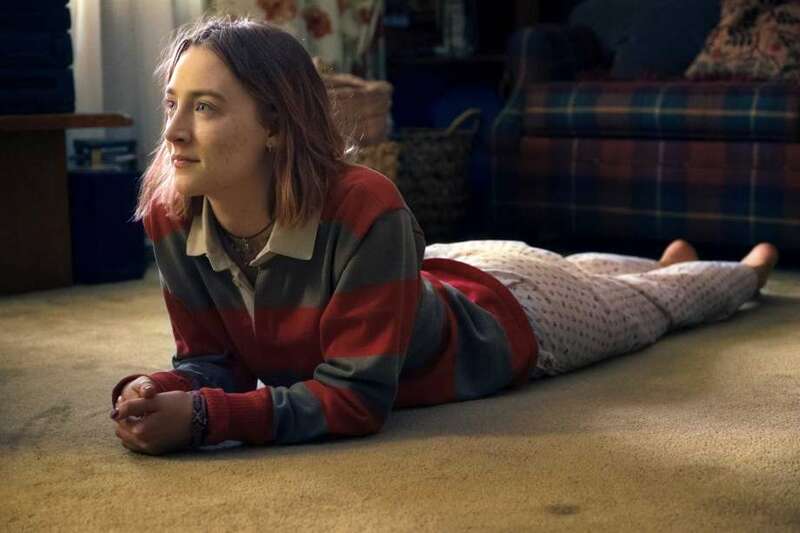 She unfortunately lost out to the award, which was won by Lady Bird star Saoirse Ronan. The pair are known to be good friends and last week, they featured together in an interview with W Magazine. During the interview, the actresses found they were actually a lot more alike than they realised. It turns out their first album was TLC for Stone, and Brandy for Lawrence. They both have a habit of ‘mishearing song lyrics, and they both enjoyed inventive Halloween costumes as children’. Do you understand that spending time with us is just us sitting and screaming at each other? Both Lawrence and Stone are known to have a good sense of humour and regularly provide hilarious interviews when they’re on promotional tours. Last year, Lawrence appeared on Jimmy Kimmel Live and in one segment, surprised unsuspecting people in the street by jumping out at them and asking her if they can name five things she’d been in. She told viewers she wanted to put the unsuspecting public on the spot and humiliate herself. I wanted to mingle with some of the locals while I was here in Hollywood, so I came up with a simple game: I ran up to people on the street and asked them to name five movies that I’ve been in — simple, if you have low enough self-esteem. The point was to put them on the spot and humiliate myself, and guess what? Both happened. Out of everybody asked, only one person got five.